A 25-year-old man has been arrested in connection with the “swatting” death of a Kansas man who was shot and killed by police Friday, possibly caught in the middle of a low-level gaming wager gone horribly wrong. Twenty-eight-year-old Andrew Finch of Wichita, Kan., was killed after police responded to a false report of a murder and a hostage situation at his home. PC Gamer reports that when the 28-year-old came to his front door, he was shot and killed. Finch appears to be a victim of “swatting,” which happens when someone calls authorities and makes up a false claim to get a heavily armed SWAT team to come to your home. Singer Chris Brown has been the victim of swatting. But in this case, the consequences of the prank were deadly. PC Gamer confirms that Tyler Barriss of Los Angeles has been arrested in connection with the swatting. The outlet notes that in October 2015, Barris was charged with making two fake bomb threats against ABC Studios in Glendale, Calif. 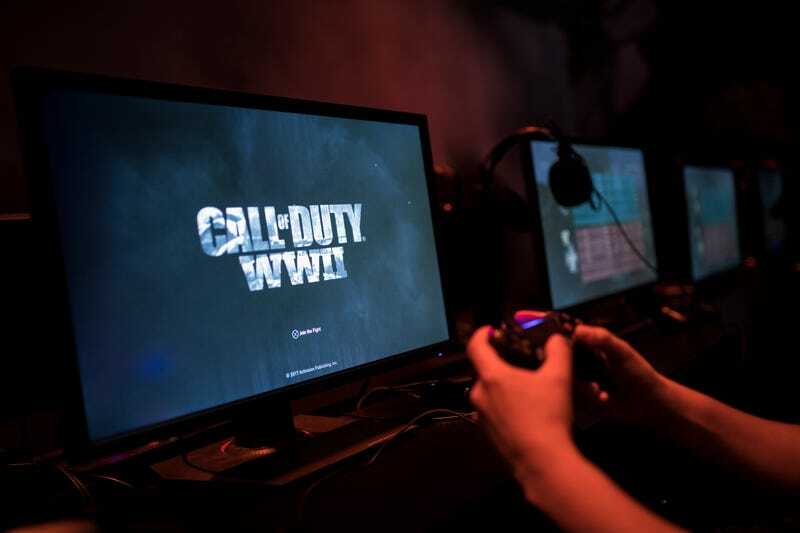 He also may have have been involved in multiple bomb threats made against a “Call of Duty: WWII” tournament that took place earlier this month in Dallas. Sources from the gaming community told reporters that the issue was over a “Call of Duty” game with a whole $1.50 riding on it. One of the gamers on the losing team allegedly recruited Barris, who goes by the name Swautistic, to swat the player he had beef with. The player, who goes by the name of Miruhcle, dared Barris to do it but gave a false address, which led police to the Finch home, where the tragedy took place. Finch’s family said that he didn’t even play video games. The officer who killed Finch, a seven-year veteran of the force, has been placed on administrative paid leave. Read more at PC Gamer and the Wichita Eagle.